Ben-Hur is a story of two very different heroes. Judah Ben-Hur, a prince of Jerusalem, is involved in an accident to the Roman procurator which is taken to be intentional. He is seized and sent to the fleet as a galley-slave, while his family is imprisoned and the family goods confiscated. When Ben-Hur saves the fleet captain from drowning after his ship is sunk in a fight with pirates, that officer adopts him as son and heir. With Roman training, Ben-Hur distinguishes himself in the arena and the palistrae and appears to be on the way to high military command. 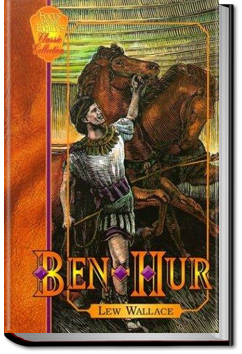 With the help of a faithful family retainer and a generous Arab sheik, Ben-Hur is enabled to take part in a widely touted chariot race, where one of the other charioteers is the boyhood friend who connived to punish him for the accident and split his estate. That rival is crippled, financially and bodily, in a no-holds-barred race. Ben-Hur turns his attention to the prophesied King of the Jews, when through the sheik he meets Balthasar, one of the Three Wise Men, and hears of the child born years ago. Will Ben-Hur be the general who brings victories to the King, and finally liberates Israel from the oppressive Roman yoke? In his quest for the answer, Ben-Hur seeks out the Nazarene, now rumored to be The Messiah. THAT hero needs no introduction. Curious about the lack of kingly trappings and ambitions about this man, Ben-Hur begins to suspect that his kingdom is not of this world. And with him, we receive a gut-wrenching eye-witness view of Jesus’ arrest, humiliation, and crucifixion. This entry was posted in Action/Adventure Books on September 2, 2016 by allyoucanbooks.